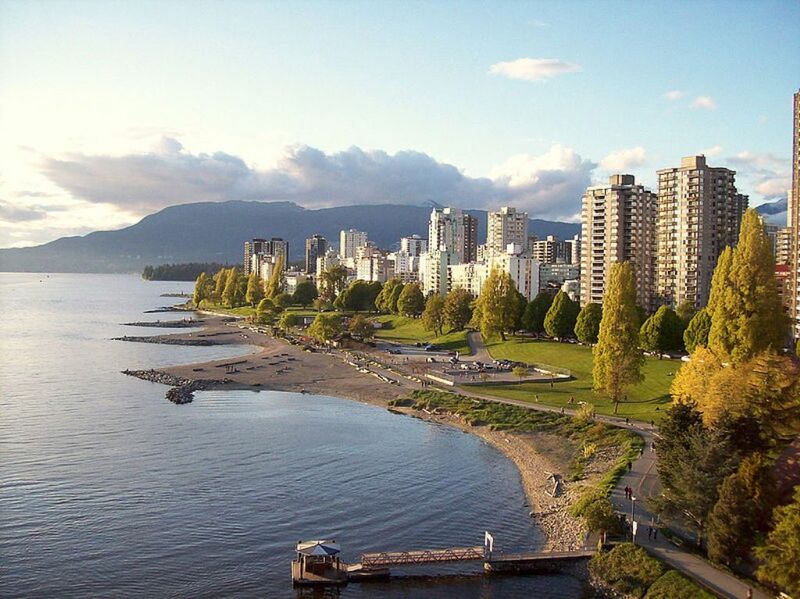 Over thirty years ago, I came to Vancouver and I fell in love with it. And it loved me back. It was summer and the beaches and the mountains were beautiful. Maybe too beautiful, I thought, for what I wanted was a meaningful relationship, not just a pretty place. Then came the long wet winters. Tough love, I thought. But I stayed, and eventually learned the dozens of words Vancouverites have for “rain”. In time, I found a diverse and vibrant creative community (Vancouver has the highest number of artists per capita in Canada*) who helped me blossom into the artist I always wanted to be. Turns out there was more to this city than postcard pretty scenery. Last Friday I received the City of Vancouver Mayor’s Arts Award for craft and design. These awards recognize established and emerging artists in various disciplines, from craft and design, film and new media, to community art, from poetry, music, dance, theatre, to culinary art. The recipients are chosen by a jury of their peers. I am, of course, very proud and happy, and extremely grateful for this recognition. When I walked onto the stage to receive the award I was terrified, as with any public speaking that is required of me (outside of my classroom). All I wanted to do was hide, so I only managed a few words of thanks. This is what I would have liked to say: I’ve always felt comfortable in my community of craftspeople where sharing is just something you do; we pass on information, bench tips, etc. We help each other. I’ve always felt that I was part of a big brother/sisterhood of craftspeople. Most of the metal techniques we use have been perfected over several millennia by other metalsmiths all over the world. Personally, much of what I know, I have learnt from my teachers, mentors, and colleagues who have been generous enough to share their knowledge and skills. So, in that spirit, I acknowledge that I did not win this award solely on my own. 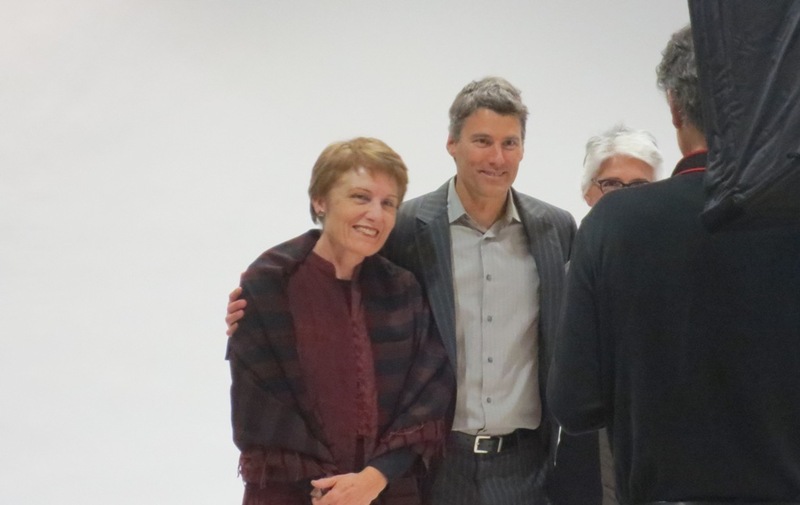 Thank you Mayor Gregor Robertson ! * quoted by the Craft Council of British Columbia – October 31, 2013. This entry was posted in inspiration and tagged Alliance for the Arts, British Columbia, Dominique Brechault, Mayor's Arts Awards 2013, Vancouver on November 30, 2013 by metalandmettle. Dominique, I am so impressed – what a wonderful and well-deserved distinction awarded to you! Sending you positive cheer and much happiness. It’s lovely to see a talented craftsperson and educator such as yourself being recognized for all you do for your community. Congrats!! I am not sure I am quite worthy…, but I am very grateful for this vote of confidence, and very inspired as well. This is well deserved. You have inspired many and passed along your love of the craft. Congratulations!! It’s so nice to hear from you, Clarissa!